Car and truck diagnostics in Raleigh/Durham for your Mercedes, BMW, Audi, Porsche, Land Rover, Mini, Volvo, VW, Lexus and Toyota. It’s like a dealership at your location but affordable. If you’re experiencing any issues with your vehicle, but aren’t sure where to start or how to explain it, Proficient Auto can help. We are the low cost option that makes it convenient to get your car diagnostics completed quickly, efficiently, and without sacrificing quality. We have built our reputation on being honest, prompt, affordable, and friendly. 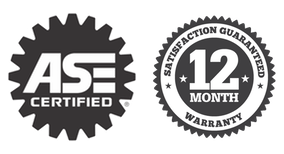 Our “peace of mind guarantee” ensures any parts we supply are warrantied for 12 months or up to 12,000 miles. Hassle free car and truck diagnostics with peace of mind at your home or office. Are you ready engine diagnostics in Raleigh? Call us today at (919) 675-2886 for more information and a comprehensive list of all repair and replacement services. We offer a 12 month or 12,000 mile warranty on all parts we supply. This is our “Peace of Mind” promise to you. Give us a call or fill out our contact form to get your free quote. Raleigh Vehicle Repair looks forward to serving you. Extremely happy that I went with Proficient Auto-Mobile Services. They came out in a timely manner and helped fix my car when it wouldn’t start. They diagnosed the problem quickly and didn’t try to install anything when I didn’t need it like some mechanics would have. Would highly recommend, they seem like good honest guys.